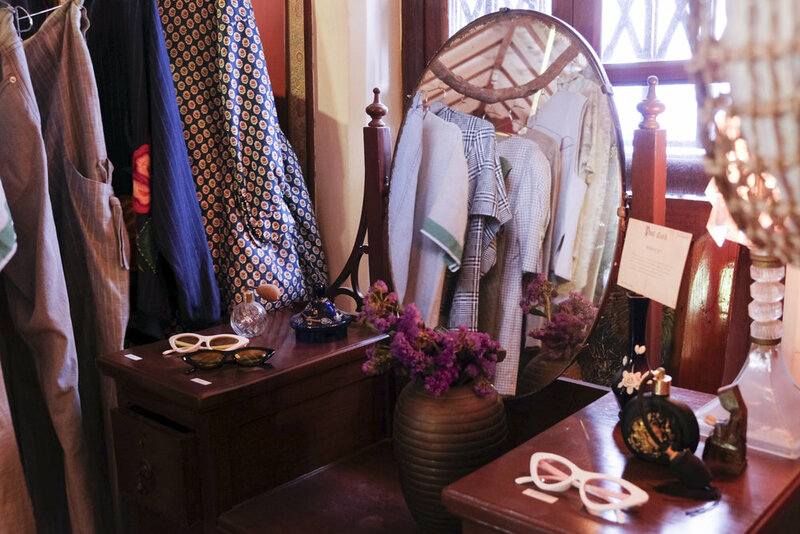 The concept store melds art and fashion, old and new. 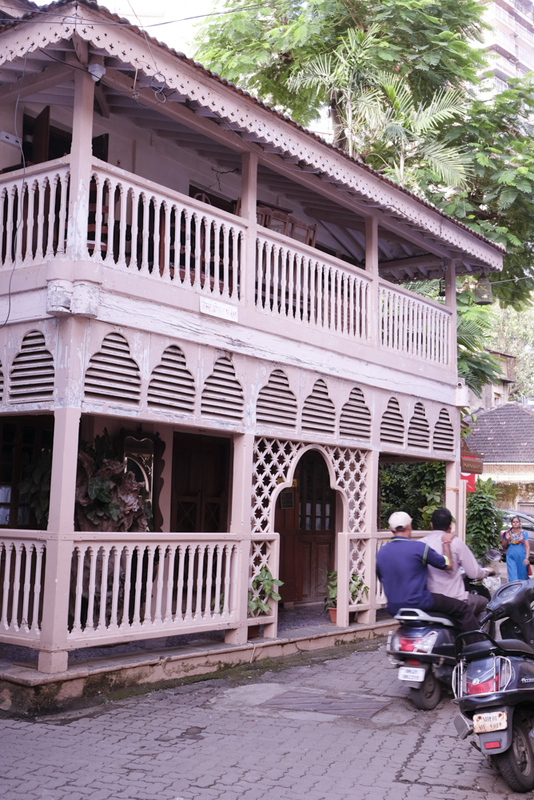 The Khotachiwadi street sign lies across its most glorious landmark, a pastel hued 19th century ancestral bungalow. 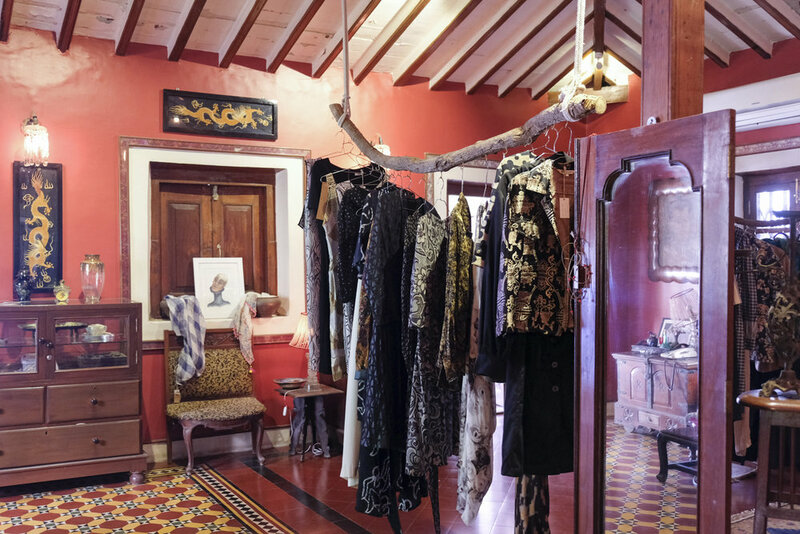 Since the beginning of the year, the villa’s top floor has been occupied by a concept store bringing art and fashion to a neighbourhood best known to outsiders for its quaint architecture and chips shop. NO BORDERS, founded by fashion stylist Kanika Karvinkop is unlike other multi designer stores in the country. 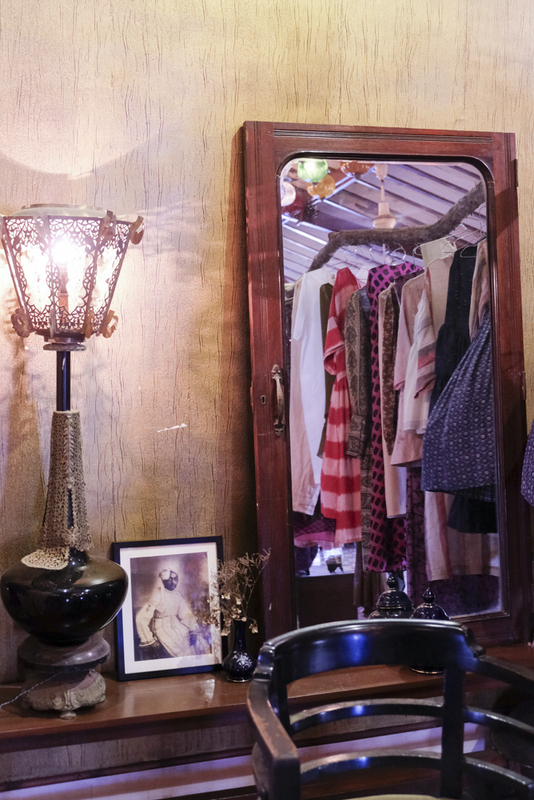 Kanika uses her sourcing, styling and curating expertise to bring to Bombay, high end luxury vintage, art and accessories from artists and designers in the diaspora, and clothing from independent Indian labels. A 70s Prada peeks out from behind an intricately embroidered Pero, copies of Kajal magazine and In Shady Company hats cover the piano, art by Ayqa Khan and Manuja Waldia live on its shelves. We visit while Kanika is in New York, her second home where she takes her wares in the opposite direction, collaborating with local artists and introducing the best of Indian design to the west via pop up events. We catch up with her upon her return. Tell me about your professional life before NO BORDERS. My career in fashion began with a job I landed with a magazine as a stylist. After about 2 years, I felt that I was ready for the next step. I wanted to venture out on my own and explore my own creative potential. It was a huge risk for me, but I took the gamble and it paid off! I left my full-time job and started working as a freelancer. It took some time to get the fish biting, but when it did, I gained some momentum and started to do work that I loved and cared about. I set off as a stylist focusing on work that I believed in for different magazines like Nylon, Refinery 29, Bullet, Wonderland and many more in NYC and India. I got to meet some amazing people along the way and worked on some really special projects. I wanted to use my inspirations and the things I knew and I loved in my craft. Where you come from moulds you into who you are. I wanted my love for India, its unique people, colours, designers, textiles, to come forth in my work. What led you to start NO BORDERS and what were the early days like? I work with a number of International magazines who ask me to pitch stories as a way for them to get some perspective on cultures outside of their country. It was during one of these fun pitches that I ended up doing a story on South Asian designers and artists, talking about how they are inspired by their own cultures and roots to create and how this for me opens up the world and breaks boundaries. Art and fashion have always been an ongoing conversation between people. It doesn't matter who you are or where you are from, your craft will speak for itself. I had the chance of travelling to meet these designers that I eventually collaborated with and learned their stories and how they help make the world a smaller place through their art. All of this got me thinking for a name for the concept store that would house designers that have no boundaries, who know no borders, and that is how the brand was born. In 2017, I started working with a bunch of vintage curators in NYC and decided to bring home vintage clothes that I loved and have a pop up in Mumbai. I wanted to do this pop up exclusively and launch the brand name NO BORDERS, adding my favourite Indian designers and others from around the world into the mix. The pop up had to be somewhere special and what better place than James Ferreira’s 200 year old heritage bungalow. This was my first taste of retail. We had a 3 day pop up which did really well and gave me the confidence to turn this into a fully functioning store which has select Indian designers, artworks and clothing from selected designers from around the world, vintage and a whole lot of events and activities where people can come together. You’re taking Indian brands overseas and introducing brands from the diaspora here. How important is this to you? Representation is the primary goal. It was always something that bothered me, the way Indian fashion was viewed in a very cliched way abroad. When people spoke about fashion in India it was all about it being super blingy, over the top or related to Bollywood. There’s so much more that is unknown to the rest of the world. The designers I have come to meet and who are now on the roster of NO BORDERS paint a whole different story with their amazing craftsmanship and their aesthetics. 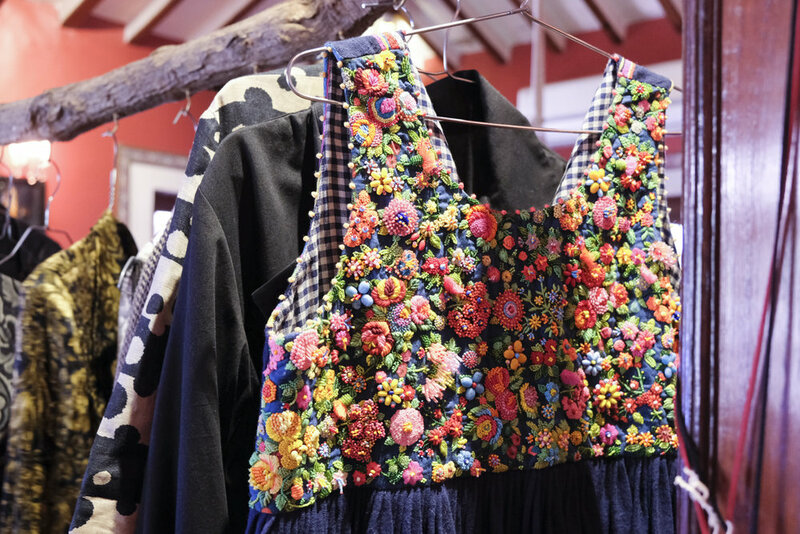 They are inspired by the country and they still use traditional methods, techniques and are so inspired by their deep-rooted heritage of the past while creating contemporary pieces for today. And that's what I wanted to portray to the world. What makes an artist or label a good fit for NO BORDERS? Now we focus on designers and artists not just from India but from countries like Peru, Africa, Sri Lanka, Bhutan and many more. We are bringing in designers and artists who share their stories through their art. Every one of them has a unique voice, perspective and way of working. A lot of them specially train underprivileged women in the art of tailoring, weaving, embroidery, etc and help them support their families. Artists and designers who make it personal, use their life and their cultures into their work is what I look for. I want people to be drawn into their worlds. It's a form of creative expression through the pieces they create. The idea behind the name is quite self-explanatory but I'd still go ahead and say it. There are no borders when it comes to creativity. It's our vision to bring together and share great cultural and art forms with the world. How did you end up permanently in Khotachiwadi? I have known James for a while now and he has always inspired me as an artist and a friend. His work speaks for itself. He's been in Indian fashion industry for so many decades and produced such amazing work over the years. Apart from all the work, James has preserved and maintained his ancestral home so beautifully. The way he has looked after this 200-year old bungalow and made it what is it is just amazing. James and I got talking and it made complete sense to open the store right here. I love the essence of the place and how it is such a perfect fit for the brand. I love people's reactions when they walk into the store. Creating an experience is a big part of what I do. And Khotachiwadi creates that experience for people. You’re always shooting with cool girls to create content for Instagram. How does your styling background come into play with NO BORDERS? I have always had this thing for fresh and interesting faces. Unconventional looking people, people who lean towards real and raw. I love working with South Asian faces, people of colour and hearing their stories. I want the content I create to be relatable. I look for different people from artists to musicians, to creators who are open and true versions of themselves. You are one of the first people in India to sell designer vintage, which is already popular in the west. What makes you drawn to vintage? This conversation of renewable fashion is something we need to be more mindful of especially now with the harm that fast fashion is causing the environment. Vintage fashion for me started with looking through grandmom's and mom's old pictures. They dressed so well and the quality of clothes designed and created back then are far superior in the finish than now. These clothes are built to last a long long time. The vintage I bring in has been around for decades and some of these pieces are jaw-dropping. You don't get things like that anymore. 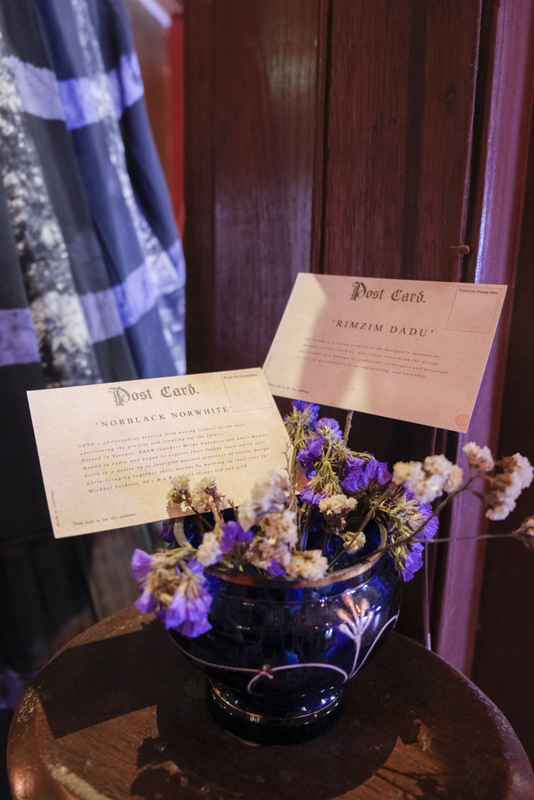 Each of these vintage pieces has its own story that we may never know. These pieces have been carefully preserved and maintained they look as good or even better than today's new. Introduce us to three brands and artists you stock in Bombay we might not have heard of. NEGINE JASMINE is a mixed-media artist and embroiderer inspired by the enchanting tales and memories of her parents’ and grandparents’ in Afghanistan. / OSEI DURO designs and produces clothing in Ghana, West Africa using traditional textile techniques and aims to support local textile industries on both large and small scales in becoming sustainable / KNOBBLY STUDIO by Jewelry designer Gittit Szwarc, from Jaffa, Israel focus on developing powerful and feminine pieces that interact with the human form, handcrafted from locally sourced materials. Thanks for your time Kanika! Follow NO BORDERS on Instagram.